64 Audio’s A6t is a lively, musical and engaging piece. It evokes excitement by virtue of contrast; between its lifted bass and tia‘s signature crisp, airy and articulate treble. But ultimately, the key to its success lies in the midrange – full-bodied, dense and wonderfully balanced in tone. The A6t sets itself apart by placing a significant emphasis on vocal structure. A balance between transient and harmonic (i.e. pop and decay) guarantees the A6t never fatigues in its quest for dynamic range, clarity and musicality. Although it isn’t the smoothest around – as we’ll explore in the Treble section – there’s a clear sense of maturity in the A6t’s framework; one that favours timbre as it does long-term engagement and pleasure. That is made all the more crucial when you consider the A6t’s stage. Lacklustre it is not, but transparency is limited by headroom and stability. There’s sufficient space for the A6t to work, but not much for it to breathe. Although they’re never congested by any stretch of the imagination, instruments tend to fill the stage rather rapidly. Imaging precision isn’t necessarily its forte. At its price, the A6t performs perfectly adequately – I’d love nothing more than to see it push more boundaries; literally. However, despite its undesirable effects towards technical prowess, its coalesced-ness does inject a fair bit of musicality into the mix. There’s simply something alluring and human about watching a band play and hearing all their sounds blend into each other. It adds to the A6t’s charisma and – to many – shouldn’t be taken away. The A6t has a moderately boosted low-end, with an emphasis on the sub- and mid-bass. It droops towards neutral as it approaches the upper-bass and the lower-mids. As a result, the A6t’s low-end is more kinetic and textured than rich and warm. Bass notes are more impact-inclined, so the stage remains clean for the midrange to perform. Secondly, it adds great theatricality to bass drops and riffs. Tracks like Sabrina Claudio’s Don’t Let Me Down – which start bass-less before kicking into high gear – achieve great dynamic range. There’s a genuine feeling of satisfaction as the low-end enters the fray. But on the other hand, this response limits the dynamic range of more melodic bass instruments. Upright basses and tom toms sound plucky (or rather, skin-y for the latter) – mellow and nonchalant, rather than warm and resonant. This can certainly be attributed to priority. Sarah McKenzie’s rendition of That’s It, I Quit! opens with double bass and you wonder, “Where’s the fullness? The emotion? The radiant, woody warmth?” But, play Gallant’s Cave Me In with its deep, electronic bass line and go, “Oh, so that’s where those two woofers have gone.” This is where the A6t’s low-end truly shines – as a guttural, visceral and immensely satisfying rhythmic drive. You can also experience this on the Kanye-West-produced track, Pusha-T’s If You Know, You Know. Again, the track starts off almost a capella, before the beat announces its presence with – on the A6t – authority, rumble and pleasure to spare. It’s a low-end that aims towards physicality rather than tone, and thus performs better with certain genres than others. Admittedly though, it delivers its fortes with immense skill, whilst serviceably fulfilling its role as a bridge towards the lower-mids at the same time – thumbs up. To me, the midrange is what anchors the A6t’s presentation. It possesses an alluring mix of density, refinement and clarity that manages to sound neither cloy, nor honky, nor overtly saturated; simply, balanced. A rise between 1-2kHz contributes solidity. Instruments sound physically present as full-bodied images, rather than wispy wraiths. And, lower-pitched elements like the rhythm guitars on Lake Street Dive’s Baby Don’t Leave Me Alone With My Thoughts project with force too. In addition to the robustness it imparts onto the rest of the cast – including Rachael Price’s swagger-ous lead vocals – the whole ensemble comes alive with a lively punchiness; not to mention the clarity that tia brings. Then, higher-pitched vocalists like Stanaj and Julia Stone benefit from this as well. It solidifies their harmonics and provides a chesty foundation of sorts, which in turn supports the upper-mids and lower-treble as they belt higher up their ranges. In turn, the A6t’s upper-mids come across balanced too. While the trend nowadays is to tilt towards 3kHz for vibrancy and presence, the A6t levels it flat for a more solid, concentrated presentation. Again, you won’t get those sweet, soft, wispy vocals that lull you to sleep. Rather, what you’ll hear are hearty, fibrous instruments with force stemming more from the chest than the mouth or nose; less light and twangy, more grunt-y. But, there’s certainly enough liveliness here for musicality’s sake as well. Vocalists are at the forefront of the A6t’s loud and proud presentation – again owing to the physicality of the centre-mids – belting with effort you can genuinely feel. If you you tend to favour signatures where the vocalists are surrounded by miles of space for echoes and reverbs to ring through, effectively whispering the tune all the while, the A6t will not be for you. But, if you favour a mid-focused presentation where you can hear balladeers truly flex their vocal chords (even when they perhaps aren’t doing so in the recording), the A6t’s fibrous midrange truly is a treat. 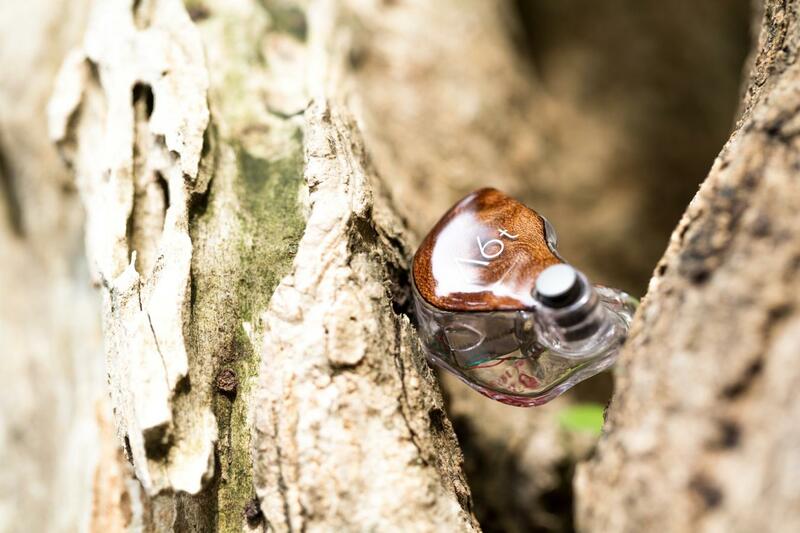 Top-end performance has clearly become a hallmark for 64 Audio because of their patent-pending tia technology. The singular open driver has since trickled down from the critically-acclaimed A18t and Tia Fourté onto their 2018/2019 line-up, including the A6t. 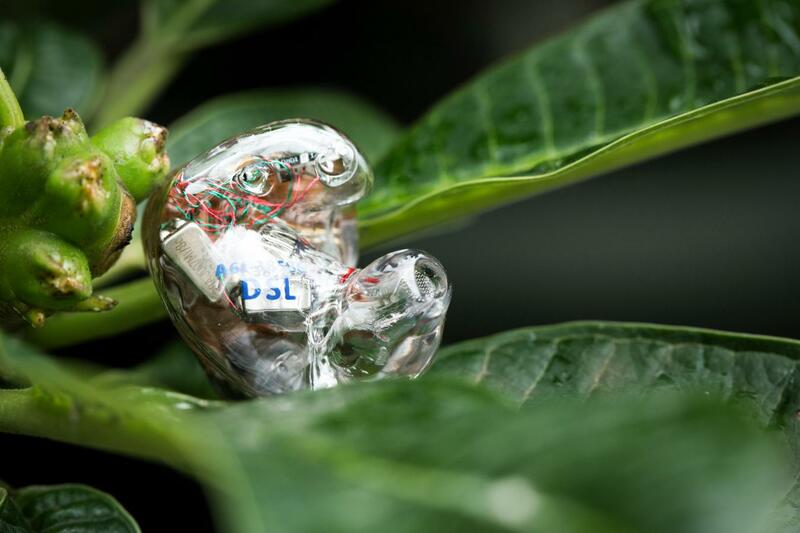 Consequently, the six-driver IEM possesses sparkly, clear and crystalline highs that benefit both its musical and technical performance. Peaks along 7-and-12kHz contribute to the monitor’s sense of rhythm; injecting instruments with crisp, speedy and open transients that complement the rumble of the sub-bass and the density of the midrange. It cuts through all the heft, but without sharpness or haze. The A6t remains consistently composed. Although the tia driver isn’t necessarily the silkiest or smoothest in the world, it’s at least inoffensive, clear and refined at all times. Much of that stems from the restraint 64 Audio was able to show when tuning the A6t’s tia driver. As we’ve seen with emerging driver technologies – whether it be piezo-electric or electrostatic – there’s a tendency for manufacturers to want to show off their respective characteristics, but to the detriment of the in-ear’s overall balance. Thankfully, the A6t avoids that pitfall for the most part – exhibiting a treble that sits in line with the rest and avoids imparting its own colour into the mix. With that said, tia does come with its quirks in texture. There’s a certain tizz to its transients that may put off those looking for a wholly smooth signature. Again, it’s entirely inoffensive and most-often refined, but it’s no baby’s bottom either. When it comes to spatial performance however, tia‘s benefits are still undeniable. The open driver brings a sense of openness, air and speed with very minimal brightness; taking top-of-the-line clarity to more attainable terrain. A lively, musical, non-V-shaped sound: The A6t possesses bounds of energy, because of the contrast present between its full-bodied bass and crisp top-end. What sets it apart is the solidity imbued in its midrange. No matter how loud things get, the lead melody is never lost. So, vocal integrity is never sacrificed in its quest for dynamism – a truly rare trait. Excellent midrange balance: And, the midrange in and of itself is well-balanced too. It doesn’t overdo liveliness to the point where vocalists are left overtly saturated (read: suffocated), neither does it emphasise harmonics to the point of congestion. Again, it possesses balance, so instruments consistently come across physically-present and tonally-sound. A punchy, visceral bass response: One of the A6t’s main draws is the bass it manages to display without intruding on the rest of the ensemble. It does have its share of shortcomings (particularly in terms of timbre). But, if your library mainly consists of pop, hip-hop, EDM and the like, you’ll find much to love in the A6t’s theatrical, cadence-happy rhythmic drive. Despite the coherence and balance it manages to consistently maintain, the A6t’s lively, crisp signature may not be for everyone. If the following three traits are what you tend to look for in an in-ear monitor, the A6t may not be for you. An effortless, nonchalant listen: The A6t is unapologetically impactful through and through. Although that doesn’t translate to fatigue necessarily – and again, it maintains impressive balance regardless – it’s not the type of IEM you sit back and drift away to either. 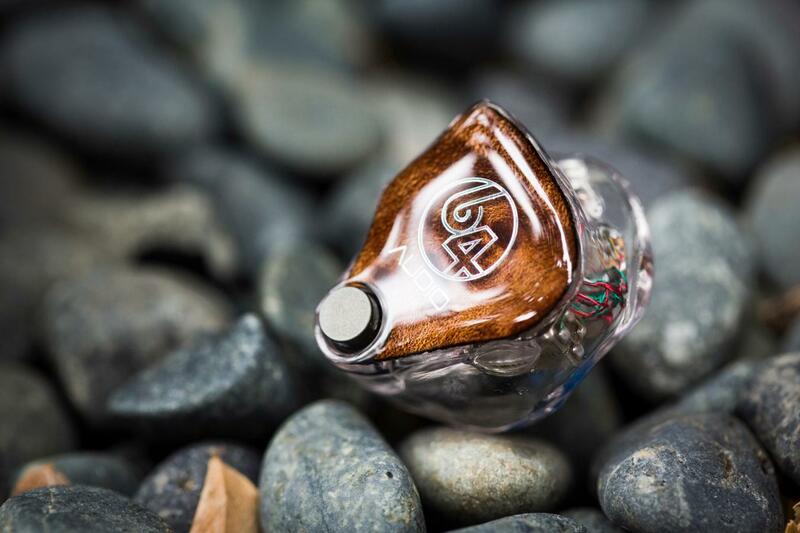 If you prefer a more laid-back, relaxing signature, 64 Audio’s A12t may prove a better fit. Utmost space and headroom: That liveliness translates to the A6t’s spatial performance as well. Again, it has sufficient space to work, but barely any to breathe. Some will enjoy its enthusiasm, while others may tire of it. If you’re looking for higher dynamic range and a more effortless delivery, the higher-end A12t and A18t are more suitable candidates. A warm, bloomy tone: The A6t’s tia driver (and lower-mid dip) gives its transients a crisp, definition-focused texture. The upper-bass attenuation also renders the low-end more impactful than emotional; more punchy than resonant. 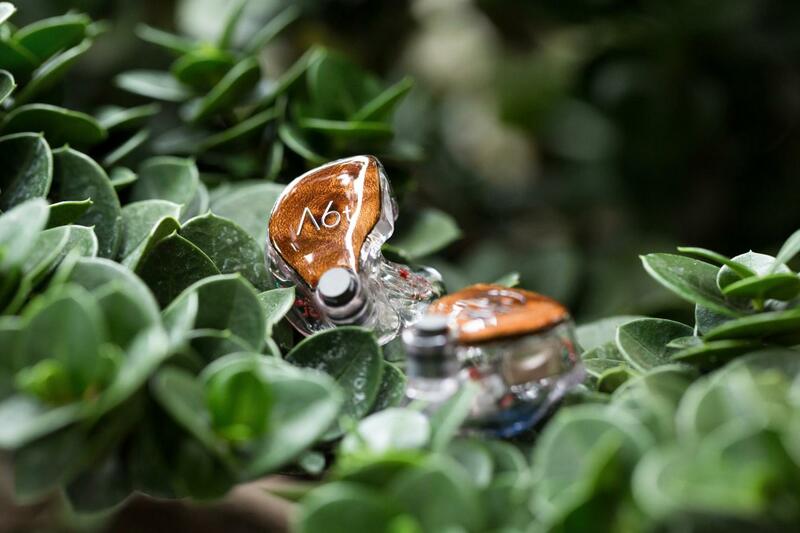 If you’re looking for an IEM with a more natural, organic tone, and a fuller, fatter timbre, 64 Audio’s N8 would probably fit the bill.